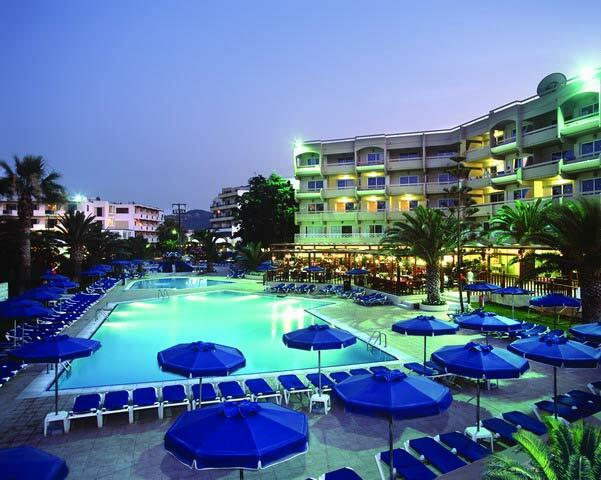 The Sun Beach is an exceptional 4 star resort, located in the heart of Ialysos resort, directly on a superb beach. 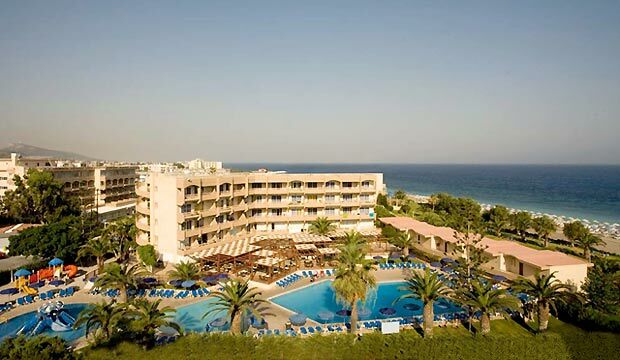 Dedicated to provide an extensive holiday experience consisting of a bountiful amount of facilities and combined with a relaxing atmosphere and upgraded services, the Sun Beach surpasses the expectations of all age groups. The resort lies on an area of 35000 sqm, where the deep blue of the sea meets the emerald green, surrounded by palm trees and elegant gardens, enhancing a restful ambience at its overall refurbished conveniences. A quality oriented contemporary resort, with an impressive range of accommodation and food & beverage facilities, an unrivalled standard of personal service, sheer comfort and eye for detail & safety committed to the satisfaction of its guests. 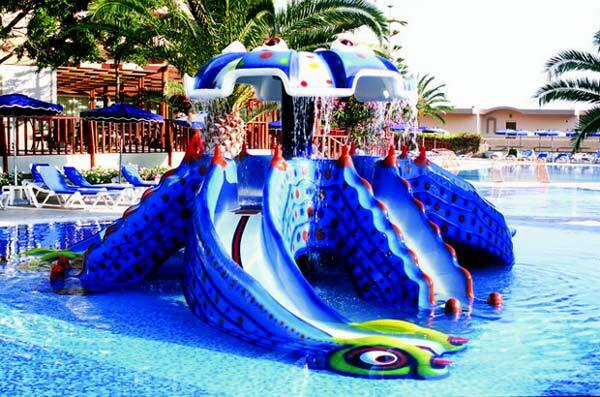 The Sun Beach Resort is situated right on the beach of Ialysos bay, on the north-west side of the island. 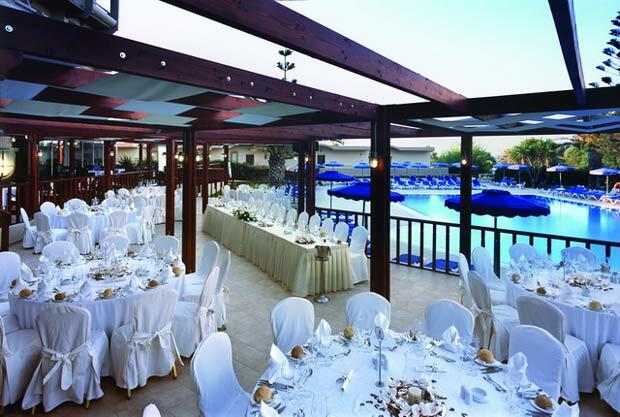 The Ialysos centre and village is within a 5-10 minutes walking distance, the city of Rhodes with its magnificent medieval town is only 10 minutes drive, and the Rhodes?? international airport is within 10 minutes transfer time. Sun Beach Resort consists of 87 Standard Guest Rooms, 18 Family Rooms, 88 Studios, 109 Suite Apartments and 3 Suite Apartments suitable for the less mobile with adequate bath. The Resort is family friendly, as well as friendly for less mobile persons because it has wheelchair access in all public areas. 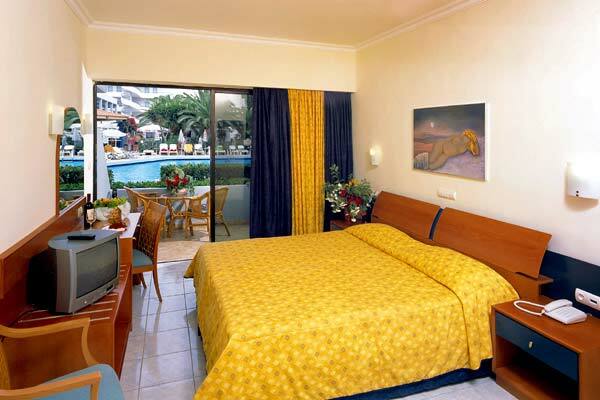 Rooms are overlooking the sea, as well as the beautiful gardens. 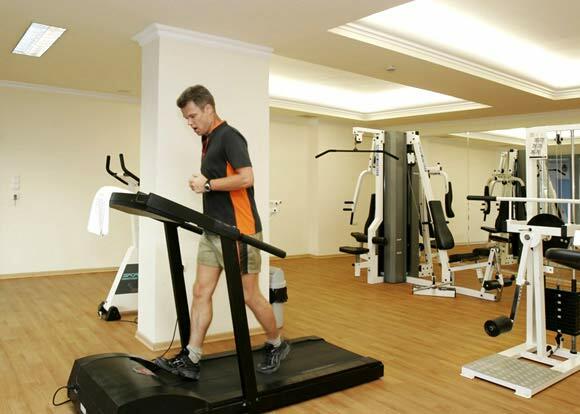 All rooms of the complex are comfortable and cosy. They are featuring furnished private balcony or terrace, writing desk corner, WC with granite bench, bath & shower attachment, air conditioning and heating centrally controlled (June -September), satellite TV with music & radio channels, international direct dial telephones in bedroom & bathroom, internet access, fridge, hairdryer, safe deposit box in the wardrobe on a charge, magnetic key cards, smoke detector in bedroom, sound proof windows and enhanced safety features. All Studios and Apartments are additionally equipped with dinning table & chairs, kitchenette and cooking rings, microwave oven, toaster, kettle, filter coffee machine and blender. Upon request at no extra charge the Hotel provides: Separate check-in for children at the Kids Reception and Lobby area, Mothercare baby cots & parks, bottle-warmer & sterilizer, highchairs, baby intercoms, removable baby bath and CDs with relaxing lullabies. Kid Suites younger quests enjoy exclusive services, such as , Kids Welcome Pack, T-shirt, 2 DVD kids movies and one Kids music cd (on loan) and free birthday party held at the Kids Playground area with chocolate cake and popsicles for all Kids Suites quests and their friens. The Hotel offers the Sun Beach 4 Kids Experiences Program ( effective April 2006), which consists of the new Kids Suites, but also a number of Kid\'s facilities such us : Kids Services Department, Movie Club Games, Music, Movie and Books Library, two indoor mini clubs operated by professional stuff, two playgrounds (3-8 and 9-12 years), child-friendly surroundings, kids corner at supermarket and extensive entertainment for children, with emphasis on education through fun and local culture actvities.